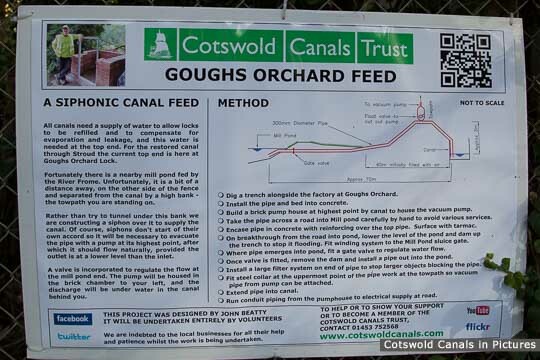 The Gough's Orchard Feeder provides a water suppy to the highest point on the restored Phase 1A Section of the Thames & Severn Canal in Brimscombe, just east of Stroud. 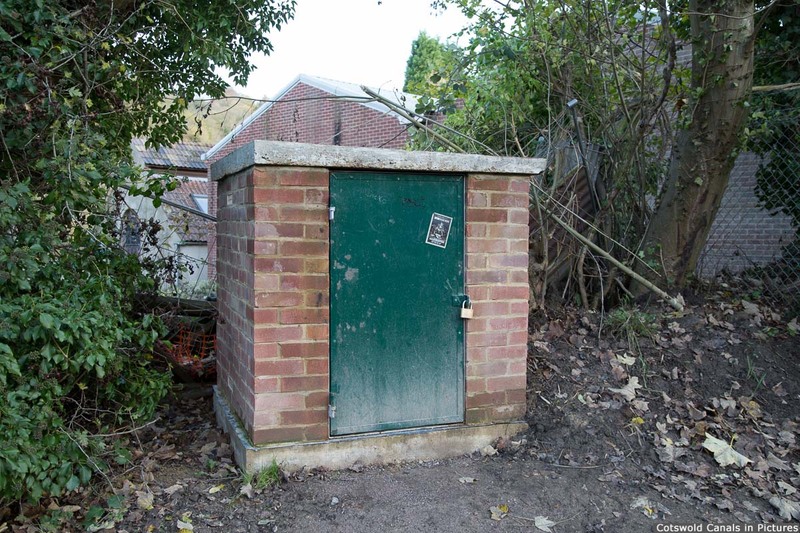 The feeder operates as a syphon that draws water up from a nearby mill pond on the River Frome and raises it over the canal embankment and discharges it into the top of Gough's Orchand Lock. 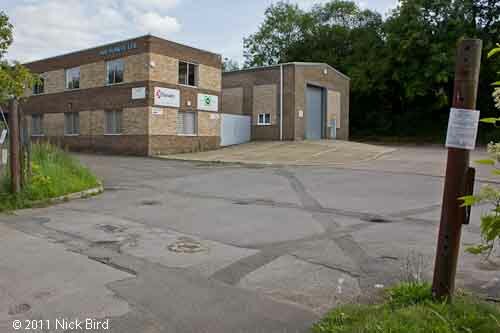 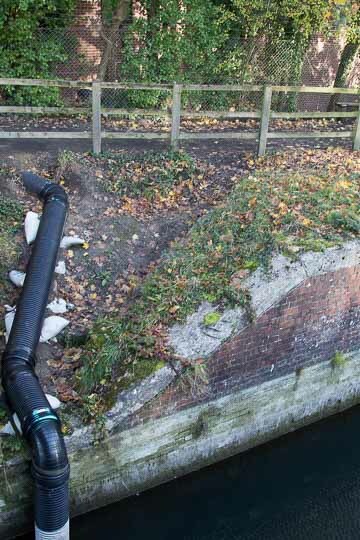 To start the syphon, air is pumped out of the pipe in the small brick building shown in the photos, and the flow rate is regulated using a gate valve. 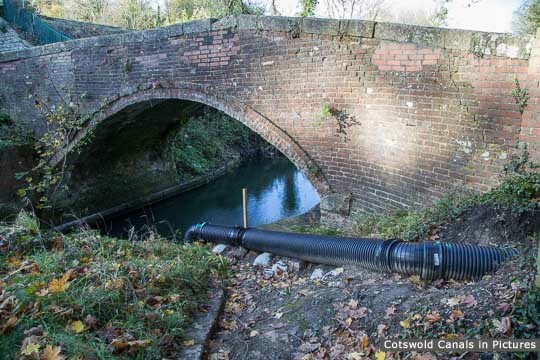 The amount of water that can be taken from the River Frome is strictly regulated, and is dependent on the river flow. 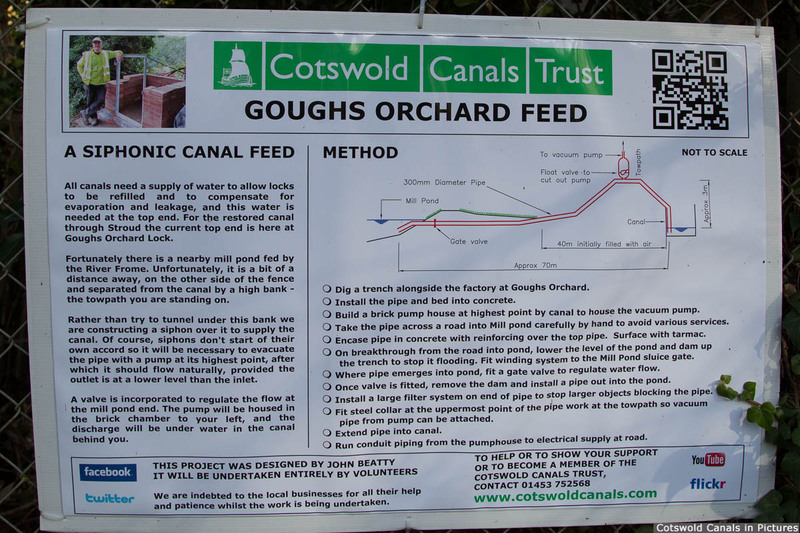 The feeder was constructed by a team of CCT volunteers in 2017. 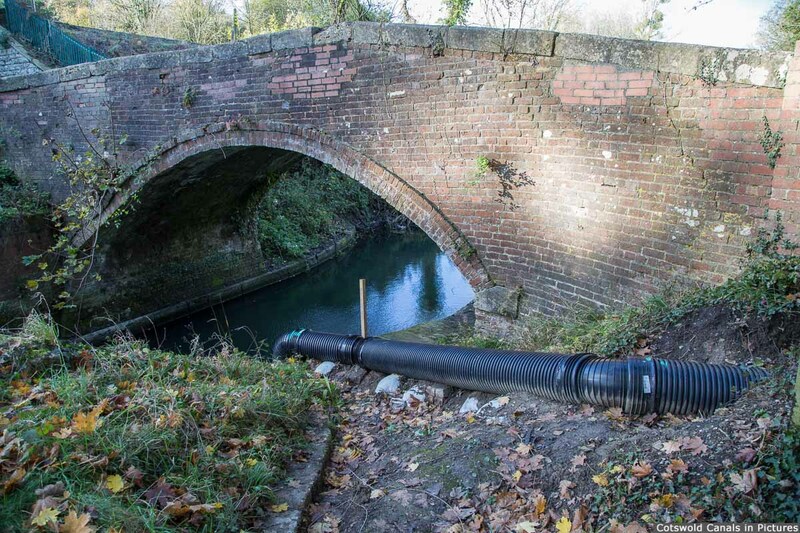 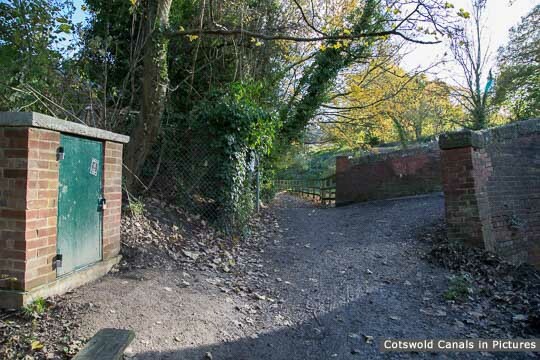 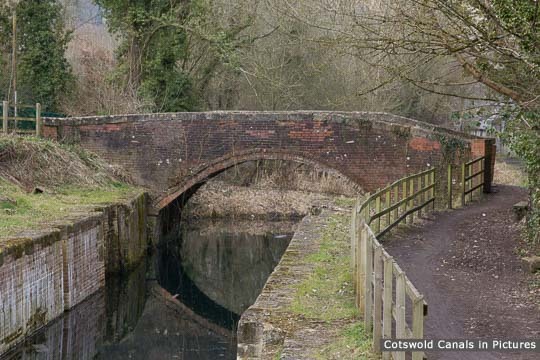 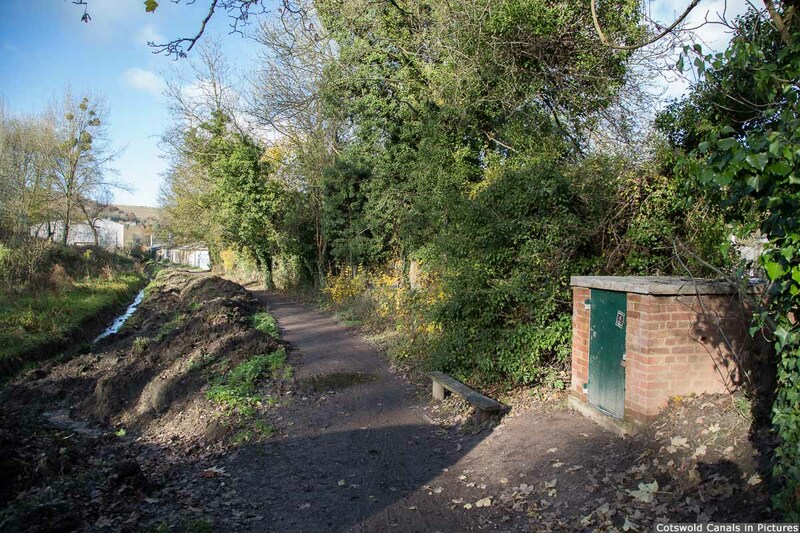 The canal above Gough's Orchard Lock is currently infilled, and it is envisaged that once this section is restored (including Brimscombe Port) the feeder at this point would no longer be required.